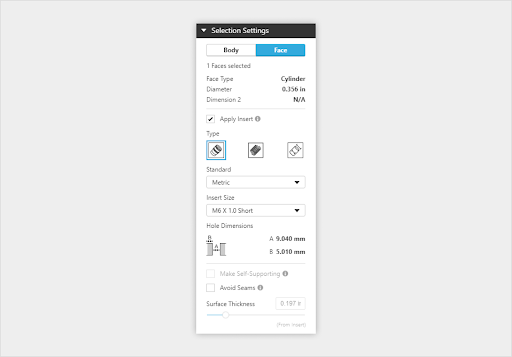 Building upon GrabCAD Print’s ability to read CAD files natively, our new Advanced FDM feature enables fine level control over how FDM parts are printed. Advanced FDM enables highly customized control of part builds by simplifying the process and eliminating the need for highly skilled application engineers to print high-quality parts. Advanced FDM is more intuitive and efficient than Insight and allows you to create more targeted structures. It’s not a complicated software. By simply selecting areas on the design model and specifying desired results, Advanced FDM automatically calculates the required tool path for all layers to print the required part. You can now activate Advanced FDM with GrabCAD Print. It’s available starting in GrabCAD Print version 1.24. If you have a supported printer, enable Advanced FDM in File → Preferences → FDM. Don’t have GrabCAD Print? Download it for free here.